C++ is a popular middle-level computer programming language developed by Bjarne Stroustrup at Bell Labs in early 1979. C++ is an enhanced version of the C language. C++ introduced many new features to the C language, and is best known as super-set of C language. C++ is an object oriented programming language whereas C is a procedural programming language. This C++ tutorial is designed for people who want to learn C++ Programming Language starting from scratch. This C++ tutorial is a comprehensive guide on how to get started with C++. 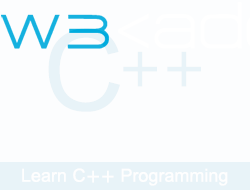 Before starting with this C++ tutorial, very basic knowledge of programming will be assumed. It’s better if you already had exposure to any programming language like C.